Our philosophy is simple: Design makes a space beautiful. People make it interesting. We design with intention by digging deep to understand our client’s unique needs. Core Design Services LLC is a professional interior decorating & design company dedicated to assisting clients in creating a personalized interior space to meet all of their needs. As a designer I feel it’s important to find the essence of my client’s personalities or brand and turn them into interiors that suit their personal lifestyles. LEED certified. Emma aims to craft her clients' home as a functional space serving their lifestyle and extending their personality in a curated way. Lambakis Interior Design’s uncompromising dedication transforms homes into the best expression of living well. Cynthia’s education, paired with extensive European travel, bring depth to the relaxed yet refined interiors her firm is known for. Whether mixing layers of antiques, hand-crafted elements or contemporary furnishings, she and her team execute bold visions for their ever-growing portfolio of satisfied clientele. Our passion comes from the pleasure of reimagining ordinary spaces into works of art. We are a full-service design studio that specializes in kitchens, bathrooms, full remodels, furnishing, and more. Long Beach Talented Interior Designer | Best of Houzz 2017 & 2018! Amber founded Soko Interior Design, Inc. many years ago and hasn’t looked back! She believes that every day is a blessing doing what she loves – creating beautiful, livable spaces for her clients. CxS specializes in modern design that is timeless and stylish. Love where you live! www.cxsdesigns.com About Cristina Cristina’s had a passion for interiors since she was a child. She started her career in fashion and received a Postgraduate in Fashion Communication. After working as an intern for Spanish Vogue, Cristina moved to Hawai'i, were she met interior designer Peggy Chesnut (Peggy Chesnut & Co.). Peggy took Cristina under her wing and taught her the ins and outs of design while decorating high-end residential developments such as Kuki´o and Hualala´i. Cristina has also assisted Christine Stahlberg of CMS Interior Design, Inc. Her signature includes mixing bold furnishings and textures; creating sophisticated designs that are fresh and modern. About Sonia With a desire to fulfill her creative calling and passion for design, Sonia completed her certification from The Interior Design Institute. After a successful start at celebrity interior designer Martyn Lawrence Bullard, she trained at Jon Brent Design and worked as a senior designer at JAC Interiors. Sonia designs beautiful environments, blending traditional and modern styles to good effect. Her talent incorporates exquisite statement pieces with global influences; designing spaces that are captivating, intriguing, and timeless. Sonia received her B.S. in Business from Villanova University and M.A. in Psychology from Pepperdine University. Lechman Testa & Associates is a premiere interior design firm. We have extensive background in kitchen & bath, custom built-ins, custom drapery, furniture, finishes, background treatments & more. We focus on designing your environment with an approach that describes and defines you. A well thought out design will reinvigorate you and enrich your everyday living experience. K. Smith Interiors is a boutique design firm based in Orange County, CA specializing in residential design - new home, custom home, and remodel. We are dedicated to creating captivating and inspiring environments, presenting our clients a clear design plan, and supporting the client and/or GC to implement the plan accordingly. By taking an exceptional approach to each design project, whether it’s modern and minimal, or traditional and elegant, allows for the clients vision and our expertise to reflect your lifestyle. Our professional design team works meticulously to create chic interiors and maintains a high level thoughtful communication, organization and consistent contact with the team that is building or finishing our projects. We have collaborated with a diverse clientele, excellent GC’s, and talented architects on various projects to achieve beautiful designs that marry form & function seamlessly. We create classic, functional interior spaces, specializing in interior design, bath design and kitchen design, construction and project management. Here at A. Peltier Interiors, our mission is to create livable, yet stylish, interiors that cater to our clients tastes, lifestyle and budget. HIGHLY RECOMMENDED ON HOUZZ 2014 - 2017. Our work has undoubtably been influenced by our operations in Paris, France where we have gained a unique expertise of European luxury and craftsmanship, and in Orange County where Californian Casual-Luxury has defined our expectations of lifestyle. Our work with luxury showrooms and spas is reflected in the soothing presentation of spaces we complete and we are sought out for our deep appreciation and understanding of artwork. Homes should be no less distinct than their households, which is why we custom design every project to reflect the needs and personalities of those who will experience it. We strive to make your project worthy of your pride and the admiration of others. Our work has been lauded by Elle Decor, Luxe's reference book "The Luxury of Home", Haute Residence, Coastal Living, Beach House Happy book, Wall Street Journal, the OC Register, and Veranda among others. With over a decade of experience, Emily Hancock of Rollins Andrew Interiors is committed to making your vision a reality. It is her goal to comfortably guide you through the interior design process. We create, arrange and influence the design and mood of a space. The textures, color and allure of a well-dressed room is an inspiration and should ultimately give the room more breath and life. Payton Addison Inc. a name synonymous with luxury living and design, was founded in 2009 by Payton Addison. Located in the heart of the HIP district along the coast of Laguna Beach, this sought after design firm specializes in all aspects of residential design. She has built an exclusive repeat clientele with her innovative approach to the design build of each project using the latest technology available. Payton Addison has developed an exclusive black book of trade resources to create a seamless project from inception to fruition. Her stellar reputation and experience along with the ability to produce results in an efficient way has gained respect from the best architecture firms, builders and specialized craftsmen in the industry. A commitment to quality and her trademark attention to detail ensures each client has peace of mind throughout the entire design build process. Chauvet Interiors is the bright new face with a refreshing new approach to creating timeless interiors that will live and grow with you. 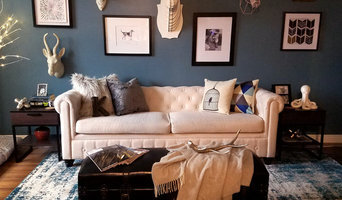 A full scale interior design studio/gallery in Los Angeles that excels at transitional, neotraditional, regency glamour, and contemporary designs. Headed by CEO and Interior Designer Jamie Roddy, our focus is on quality client care, jaw-dropping interiors, and organized logistics to ensure the highest level of client satisfaction. Live Life Beautifully. Neela Woodard Design creates custom interiors that turn your house into the home you have always dreamed of. Please contact us to schedule an appointment. At Inspire Interiors, we listen to your story & then create an environment that serves as a backdrop for your daily life. Our goal is to find the thread that links your story to your space. Created by Genna Margolis. 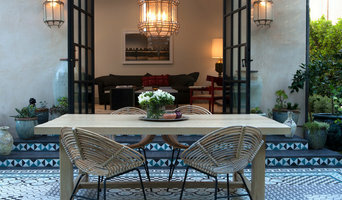 Shapeside is a full-service interior design firm based in Los Angeles. Before creating Shapeside, Genna worked with some of New York and LA's most well-respected designers. Shapeside has been previously featured in Domino, My Domaine, Rue Magazine, among many other publications. She enjoys finding new ways to merge the style of her New York roots with her love for Southern California beauty; resulting in a minimal and fun aesthetic with many classic elements. Red Door Living is a premier Design and Furniture Showroom in Long Beach. Our style epitomizes the eclectic and relaxed design approach that is known as the California Lifestyle. At Wildborn Interiors, our passion comes from the pleasure of reimagining ordinary spaces into works of art. We are a full-service design studio that specializes in kitchens, bathrooms, full remodels, furnishing, and new homes from as early as the planning stages. James M. Hernandez, principal designer of James Hernandez Design, specializes in incorporating both modern and traditional elements which seamlessly transition into one cohesive vision for the space.